Very different things happen depending on which mouse pointer is displaying in Excel, so it’s helpful to be aware of what the most frequently seen pointers are. Review the table below and contact My Reno Computer Tutor for your personalized explanation. Visible when mouse is positioned on the thick black border of a selected cell (or range). Click and drag the mouse to move the contents of the cell(s). Visible when mouse is positioned over the bottom right corner of a selected cell(s). 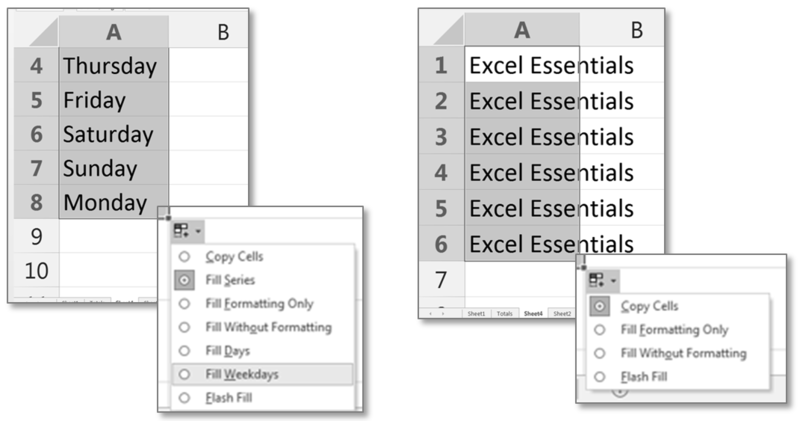 Click and drag to ‘fill’ the adjacent cells. Visible when cell is in edit mode or you’re pointing at the formula bar. Click and drag selects contents of cell. 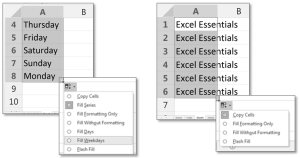 We have a few more posts about using Excel, including posts on absolute vs relative references, using proper Order of Operations, and grouping dates in PivotTables. Or contact us below and ask about personalized training in Excel.